Fight Skin Dehydration With Garnier Aqua Defense Bright Essence! 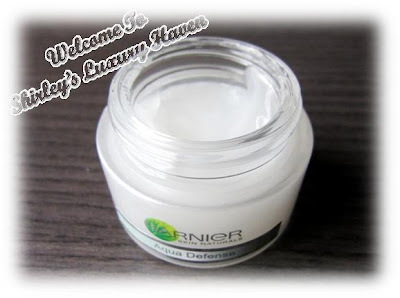 You are here:Home » Product Reviews » Fight Skin Dehydration With Garnier Aqua Defense Bright Essence! The first of its kind, Garnier Aqua Defense Bright Essence fills skin with in-depth hydration, while making it glow from inside out! Modernization has made profound impact in our lives; it’s almost impossible for one to survive without air conditioning these days. Especially for people living countries with four seasons, millions of people will turn on that marvel of invention, as summer approaches with soaring temperatures. However, air conditioning can have a negative effect on our skin. Air-con, plus environmental factors such as pollution, dries our skin causing a certain extent of dehydration. Hence, our skin is also vulnerable to premature ageing. With the new Garnier Aqua Defense Bright Essence, which harnesses the power of one million #water molecules, help is on the way! Its smooth watery texture allows the complex to be easily absorbed & ensures that no shine or greasy feel is left behind. 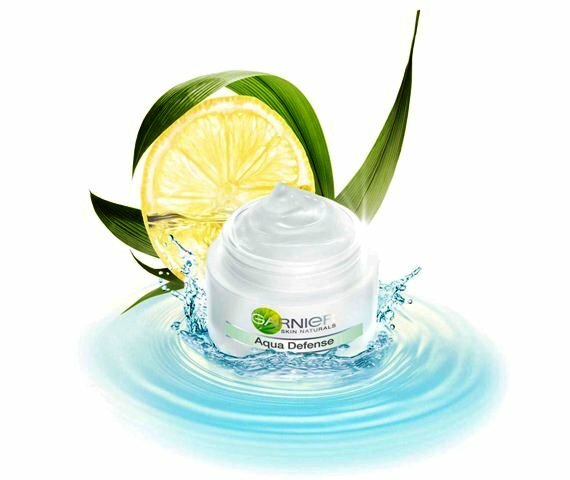 The formula’s richness in water is also designed to lock in moisture, keeping skin revitalized & radiant throughout the day, while preserving its firmness & #youthfulness. I like the refreshing sweet & fresh fruity scent that tops off this first 2-in-1 hydrating & brightening essence. Pure Lemon Essence: With its antioxidant & clarifying properties, lemon essence helps restore skin’s full radiance, while clearing away impurities such as #blackheads. A rich source of #VitaminC, it also repairs acne scars. Scutellaria Extract: Commonly known as “Golden Root”, this plant has been grown in Japan for centuries & is revered for whitening properties. At the same time, its anti- oxidant action allows it to combat free radicals, which are responsible for premature ageing. Vitamin CG*: A powerful anti-free radical, Vitamin C locks in moisture while boosting the production of #collagen. It also performs a dual brightening action by shielding skin against damaging #UV rays, while protecting it from within by inhibiting the enzyme that causes #pigmentation marks. If you’re looking for a good & reputable product to suit your tight budget, Garnier’s ingenious 2-in-1 skincare solution is your answer to achieve crystal clear skin that glows from within. Available at #Watsons, #Guardians, major supermarkets & hypermarkets & selected departmental stores from November 2011. The Garnier #AquaDefense Bright Essence retails at only S$19.90! This brand is becoming very popular, not surprised with many new inventions they bring out to the market. Good review and maybe will try out when whatever I have been using finishes off. i love garnier too :) it's really very user-friendly, suitable for all skin types! Fish, great to have another fan here! Welcome to the Garnier Club! A timely review, Shirley! The air is getting dry here and my skin could use a little boost. Thanks! Jay, thks & u have a wonderful weekend! I had used a few of garnier product, but have yet to try this. Infact, i have been hunting for one moisturiser that is not oily but hydrate as i have oily but dehydrated skin. Trust your review, sounds like a great value for money product, shall give this a try. Btw, i have bought the garnier BB eye roll on, GREAT! i love it. Neha, thks again for dropping by! enjoy your weekend! Great timing to do this review, Shirley, as my moisturizer is about to run out and I'm looking to replace it for I'm not exactly that happy with it (it makes my face a little too oily >.<). Garnier's always been a reliable product for me, so I'll give this one a try. Thanks for this helpful review! Oooo this is an awesome review. I like garnier hair care products but haven't tried their skincare yet. $20??? Sign me up, my clarins moisturizer is $48! do you use this before moisturizer or use it as a moisturizer? Does this contain Hyaluronic acid? Heard that this Hyaluronic acid can 'keep' a lot of moisture. Also, after using this product, does the skin really glows within? Really need some advise to get the best moisturiser. Cassie, thks for your interest in the product! I'd suggest u visit Garnier's site for more info. As with other products, it varies according to one's skin type.